I am a theoretical chemist turned research software engineer. I write research software and teach programming to researchers and lead the CodeRefinery project. I work at the High Performance Computing Group, UiT The Arctic University of Norway. I've also worked at the Laboratoire de Chimie et Physique Quantiques in Toulouse, and PDC and Theoretical Chemistry and Biology in Stockholm. Serving presentation slides written in Markdown. You do the talking, Cicero does the rendering and serving. Code is on GitHub. Program for Atomic and Molecular Direct Iterative Relativistic All-electron Calculations. Program for the open-ended calculation of response properties. It connects to response equation solution routines, routines for differentiated one-electron and two-electron integral contributions, and routines for exchange/correlation contributions to enable the calculation of response properties to arbitrary order. Together, the two programs provide an extensive functionality for the calculations of molecular properties at the HF, DFT, MCSCF, and CC levels of theory. numgrid: Numerical integration grid for molecules. XCFun: Exchange-correlation functionals with arbitrary order derivatives. ASCII to SVG Git log graph visualizer. Useful for teaching Git. The objective of the SYMBIOSES project is to create an ecosystem based impact assessment and management tool providing fact-based, quantitative analyses of the potential consequences of petroleum developments and other activities in spatially managed ecosystems, mainly focusing on the Lofoten-Vesterålen area. CDash hosting for scientific projects. 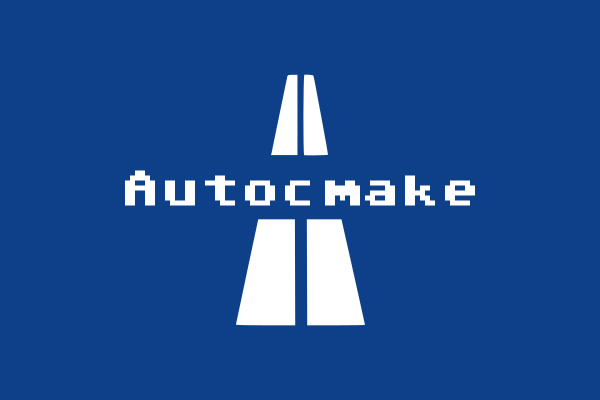 CMake plugin composer. Simplifies bootstrapping new CMake projects and simplifies sharing reusable CMake building blocks across projects. Angstrom to Bohr and Bohr to Angstrom conversion without commercials. A classic game. Unfinished fun project for teaching programming. Also useful for procrastinating something else.